From everything I've read and the photos I've seen, the first Toronto show looked like a magical show. I think this John Arrowsmith photo captures it quite well. All this reminded me of when I saw Rush in Toronto in 2007 on the "Snakes & Arrows" tour. 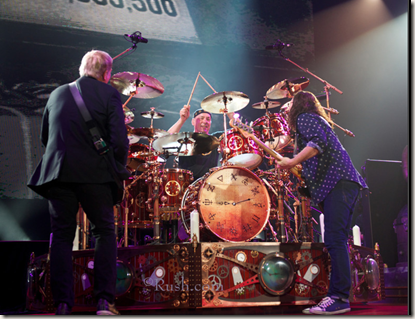 I've seen Rush in a few cities around the U.S. and Canada, and those shows in Toronto were definitely some of the best. Here's my blog from that tour if you're interested in reading more.